I was very pleased when I was asked to write a blog about Christmas in my own country, Hungary. It is very different to the one in Spain or in the UK but there are things that are the same, we all get together to celebrate the birth of Jesus and be with our loved ones. Christmas is a very important time for Hungarians. 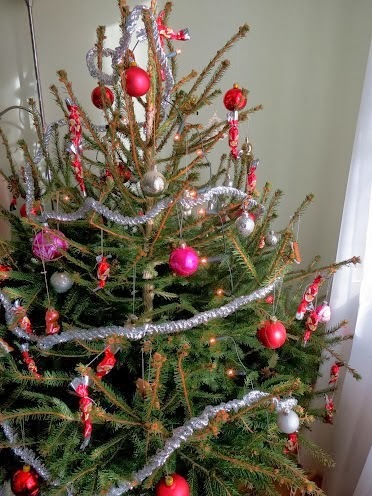 Before the 24th December people in Hungary start to clean their houses, start baking and buy the Christmas tree, although they don’t decorate it yet. In the days coming up to Christmas the whole country seems to be on the move as everybody goes to see their relatives. For many of us this is the only time when we all get together. In fact, this is such an important family time that even the public transport services stop at 4pm so that the drivers can go home, too. In the afternoon of the 24th the Tree gets set up in its designated place. Some families decorate it together. My family always gives this important task to the smallest members of the family. We all help (especially with the fragile decorations) but they are the ones who put the star/angel on the top of the tree. In other families the decoration is done by the parents and children are banned from the room where the tree is. Here the Christmas Tree will be part of the surprise, together with the presents. An important part of the decoration is the szaloncukor. We tie them together and hang them on the tree. There are many different kinds available in the shops. In Hungary we don’t have Rudolph and Santa Claus does not have much to do. The tree and the presents come from Jesus or ‘Jezuska’ as we call them. I know, I know, it doesn’t make sense at all as Christmas celebrates the birth of Jesus but I can’t give an explanation for this. Therefore the children are asked to stay in their room for a bit while the adults put all the presents under the tree. When I was a child my dad always took us for a walk in the town centre ‘to see the Christmas lights’ while my mum sorted out the presents. When we arrived we went to our room. The sign that we could go and see the presents was the chime of a bell. Then all the three of us would burst into the room… you can imagine the rest. 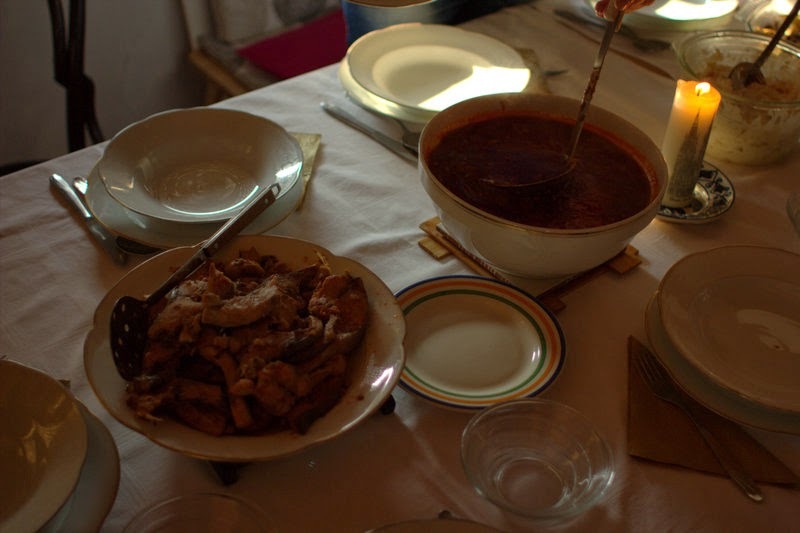 The traditional Hungarian Christmas dinner always includes some fish, generally fish soup (in the photo) and stuffed cabbage (I forgot to take a photo of that). Another important element is ‘beigli’. This is a rolled up pastry that is traditionally filled with walnuts or poppy seeds. At midnight many of us go to Midnight Mass or ‘Ejfeli Mise’. We used to go with my Grandmother and sing Christmas songs.